Home Pine manufacture a wide range of hand built pine, oak and painted furniture from our own factory locally in Devon. 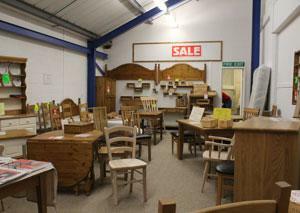 We have been trading in Barnstaple as a furniture manufacturer & retailer for 28 years. We recently moved .. Our new retail showroom and workshop is situated in Buller Road, opposite the Bus Station in Barnstaple, North Devon. Where you can view a wide selection of high quality pine furniture, oak furniture and a modern range of painted furniture. Our retail showroom is open Monday to Saturday, and you are welcome to come and have a look round. There are two car parks nearby; Hardaway Head Car Park is directly behind us and is a 2 minute walk, then Queen Street Car Park is a three minute walk. We can arrange delivery to anywhere in the UK. 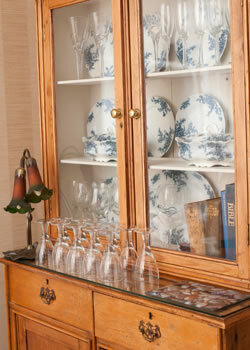 The Devon collection of pine furniture features robust designs, solid, hand built and hand finished. Each piece of pine furniture within the Devon collection is manufactured in our own workshops to the same standards of quality and workmanship. I.E. Hand built and hand finished. Each piece is of solid wood construction. Any of the Devon range can also me made in Oak or a Painted finish. The construction and attention to detail remains our strict standard. Oak furniture made NOT in China but right here in North Devon, UK in our own workshop. Dovetailed joints, raised panels, hand finished to the exacting standards our customers have come to expect from Home Pine. Our Exmoor Oak Range can also be made in Pine or Painted. Free Quotes and Estimates! Home Pine Furniture offer a made-to-measure service on an all encompassing range of pine furniture, oak furniture or a modern painted furniture. 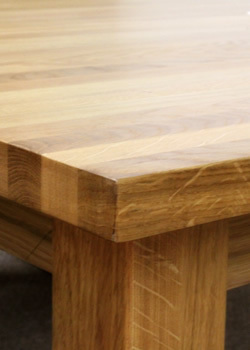 All of our furniture is hand built to our own exacting standards and quality. Slat back, Carver, Solid Seat, Spindle, Wheelback and more ..
To complement our own ranges of Devonshire made pine and oak beds, we have sourced a selection of high quality specialist beds. These are available in a selection of finishes and colours, all are of sturdy wooden construction and many offer exceptional space saving ideas. We believe these genuinely offer the best quality for this price. Introducing .. our new range if solid pine memory boxes. 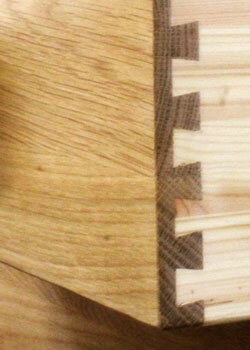 Including Dovetail joints and hand finished. Perfect for keeping those treasured memories. Looking for a furniture store in Barnstaple? Pine & Oak Furniture Store in Barnstaple: We are a pine & oak furniture store, supplying quality oak and pine furniture across North Devon and beyond. Hand built, bespoke oak & pine furniture, all can be made-to-measure so they fit neatly in any space within your bedroom, living room or kitchen. 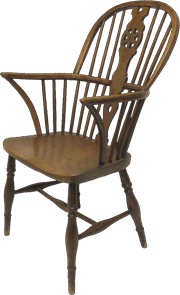 We are a fully independent pine furniture store, we have been a pine manufacturer and retailer since the late 80s. For decades we were the pine furniture specialist serving people in and around North Devon, and over the past ten years or so, we have begun to produce in oak too. A visit to our furniture store in Barnstaple will give you some idea about the huge range of furniture we manufacture and their quality. 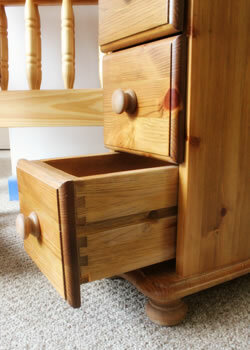 We offer a genuine customisation service across all our furniture according to customer requirements. If you find it difficult to visit our furniture store in North Devon, a short scroll through our website will give you the idea of the whole range of pine furniture, oak furniture and painted furniture we have available for you to choose from. We have local delivery service, and can arrange delivery anywhere in the UK. We are happy to deliver ourselves, with our own delivery vehicle, to Exeter, Tiverton. Minehead, Okehampton, Hartland, Bideford, Bude, South Molton, etc, within a fifty mile ish radius from Barnstaple. For further afield, across the whole of the UK, we are happy to arrange delivery through an independent courier service. If you are ready to do the rounds around furniture shops in Barnstaple, make sure you drop in on Home Pine. Our furniture stores in Barnstaple have been selling quality pine furniture for decades, the best quality at affordable prices. We don't always carry an extensive collection of furniture, as we produce a wide variety to order, tailored to our customers needs. Furniture for all the rooms in your home. We don't sell electrical goods, curtains or cushions, what we do sell is our own high quality furniture. 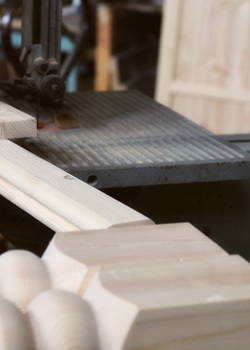 Our great service, build quality and attention to detail are what makes Home Pine the first stop in your search for the highest quality furniture shops in Barnstaple. If you're taking Public Transport, Barnstaple Bus Station is right outside the door. 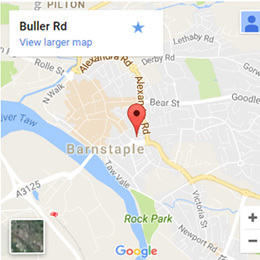 Two of Barnstaple's larger car parks are just a short stroll away. We look forward to welcoming you Home Pine Furniture Stores in Barnstaple. We're not offering the largest collection of furniture in our showroom, nor multiple floors providing everything except the kitchen sink. What you will find is top quality, hand built pine Pine & Oak Furniture, attention to details, a bespoke colour matching service and build quality that can last you a life time. We sell furniture throughout Devon, the Southwest and can deliver to anywhere in the UK by arrangement. Our team at Home Pine Furniture Centre are both knowledgeable and helpful when it comes to all things furniture, we are here to take care of all your furniture requirements. Come in and talk to us to see how we can help you. We have hand built furniture for everyone, for any home, office, second home, holiday cottage, Guest house, hotel and more. 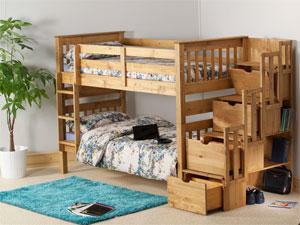 To complement our own ranges of pine and oak beds, we have sourced a selection of high quality specialist beds. These are available in a selection of finishes and colours, all are of sturdy wooden construction and many offer exceptional space saving ideas. We believe these offer the best quality at these prices. We can also produce bespoke children's combination units and bunk beds, to include cupboards, shelves, drawers and hanging space. Ideal when space is at a premium. We can make your bed to any size you may require.